Win Yip Gate & Roof Sdn Bhd has been in the renovation industry for more than 10 years. Combining over 10 years of experiences, we are confidence to offer custom-made design to suit every client's need. Besides that, the products that we providing are depend on the latest trend in the market place with very fair prices. 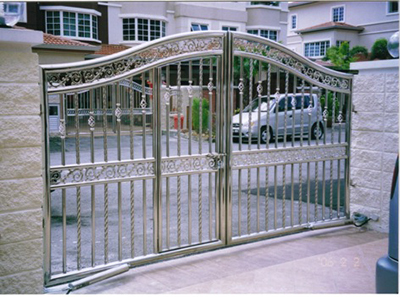 In Win Yip Gate & Roof Sdn Bhd, we offer not only Stainless Steel Works, but we also specialise in providing renovation services such as Aluminium Works and so on. Our experiences staffs are highly train in providing both effective installation skill and prompt services too. OUR MISSION IS PROVIDING SAFETY AND RELIABLE SERVICES TO FULFILL CUSTOMER SATISFACTION.